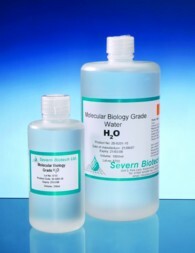 Molecular Biology Grade Water is reverse osmosis purified to 18 Mohms resistivity, bacterial filtered (0.2 micron filtered) and autoclaved sterile. Endotoxin removal is facilitated by electrostatic filtration and the product is LAL tested to be pyrogen free. 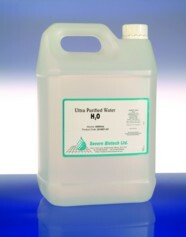 This water is also DNase, RNase and Protease tested and free from contamination. The rigorous testing ensures the product is suitable for molecular biology experimental work.